As more is learned about autism spectrum disorders, more questions seem to arise. Yet with DNA sequencing, researchers are able to investigate the genetic roots of this and other diseases that are not yet well understood. It’s another instance in which genomics can shed light upon the workings of that most important organ system—the brain—which is so difficult to analyze. Institutions around the world have sought to fill in pieces of the autism puzzle with links to other disorders and diagnostic insights, and these efforts have in recent years uncovered a number of possible genetic triggers and pathways. Yet the causes and manifestation of these diseases remain largely elusive. University College Dublin’s Academic Centre on Rare Diseases (ACoRD) in Ireland, which is world renowned for its discoveries in rare genetics, is using NextCODE’s genome analysis technology to power large-scale, sequencing-based diagnostics programs and genome discovery efforts to study autism and rare pediatric disorders. 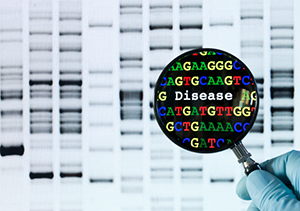 Recognizing the enormous potential of large-scale sequencing to mine whole genomes and accelerate discoveries in rare genetic diseases, ACoRD will focus on some of the most challenging areas to inform and provide new directions for research that may help lead to diagnosis, treatment, and even prevention for these disorders. In using NextCODE technology both for analyzing as well as storing large-scale genomic data, ACoRD is well positioned to become a focal point for multinational research and clinical diagnosis in conditions that require the gathering and collective analysis of genomes from many participants in many countries. This entry was posted in genome sequencing and tagged genome analysis, genome discovery, large-scale sequencing, NextCODE, rare diseases, rare genetic diseases by Hannes Smarason. Bookmark the permalink.